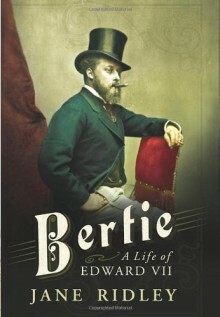 Exciting new approach to biography by an acclaimed historian and biographer: King Edward Vll (Bertie) seen through the eyes of the women in his life. Entertaining and different, this enjoyable study of a flawed yet characterful Prince of Wales wears its scholarship lightly. Edward Vll, who gave his name to the Edwardian Age and died in 1911, was King of England for the final 10 years of his life. He was 59 when at last he came to power. Known as Bertie, and the eldest son of Victoria and Albert, he was bullied by both his parents. His mother, Queen Victoria, the first and most powerful woman in his life, blamed Bertie's scandalous womanising for his father's early demise. Although Bertie was heir to the throne, she refused to give him any proper responsibilities, as a result of which he spent his time eating (his waist measurement was 48 inches and his nickname was 'Edward the Wide'), betting on race-horses and shooting grouse. He was married off to Alexandra of Denmark, who was beautiful but infantile, lavishing her affection on her doggies and pet bunnies. Bertie's numerous mistresses included the society hostess Daisy Brook ('Babbling Brook') and the gorgeous but fragile Lillie Langtry (with whom 'played house' in a specially built hide-away home). The last of the women in his life was the clever and manipulative Alice Keppel. He always placed her at dinner next to his most important guests, because of her grasp of politics, her brilliant conversation and her formidable skills at the Bridge table. When Bertie finally became king, he did a good job, especially in foreign policy. This colourful book gives him due credit, while painting a vivid portrait of the age in all its excess and eccentricity, hypocrisy and heartbreak. http://telynor.booklikes.com Telynor's Library, and then some 5.0 A misunderstood Prince who spent decades waiting to be king. text A misunderstood Prince who spent decades waiting to be king.